With our Marau Scenic Flights, you will gain a unique perspective of the Mamanuca Islands, Yasawa Islands and it’s bay, the gigantic Mt Evans Range at the Sleeping Giant, and the Heritage Levuka World Tour, Fiji’s first capital and more. Choose from one of our five popular flights or custom tailor your own, with prices starting at $150 per person. We also have gift certificates available. Give the gift of flight with a gift certificate for a Scenic Flight to your families, loved ones and friends. Experience the spectacular coastal views from the air as you enjoy a magical flight around the island with a professional pilot who offers an unforgettable personal tour of the area. We are sure this will be a highlight of your vacation! Call today +679 9924 940 to book one of our popular flights over the phone or Enquire Now now to start your adventure. A perfect introduction to your holiday. From an aerial view of the resorts and marina of Denarau Island to Fiji’s first ever ancestral landing site to the north at Vuda, with glimpse of nearby islands and reefs. Take an adventure over the Mamanuca Group of islands with their crystal turqoise waters and palm fringed sandy beaches. 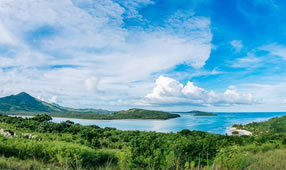 A definite highlight is soaring over Monuriki Island where Tom Hanks was shipwrecked in the movie “Castaway”. 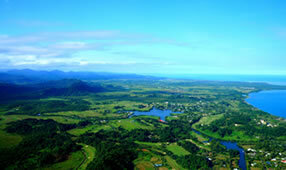 Beginning with a view of the coastline to the north, past Vuda, then inland over Fiji’s rugged and rarely seen peaks of the central ranges. Tumbling waterfalls, valleys, lush rain-forest, mountain villages and the famous “Sleeping Giant” are just some of the highlights. Experience an aerial visit a long the length of the spectacular Mamanuca Islands all the way to Waya and Waya Lailai in the lower Yasawa’s. 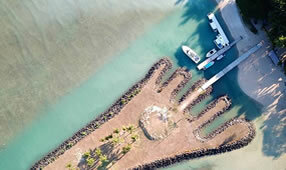 bed seduced by the view of stunning sand quays, re-known surf breaks, coral reefs and a myriad of palm fringed islands. A comprehensive overview of the Mamanuca and Yasawa island chains all the way to the breathtakingly beautiful and rarely visited Champagne beach at the top. Marvel at the turquoise waters of Blue Lagoon, and many island resorts and villages with their pristine beaches, rugged peaks and secluded anchorages. 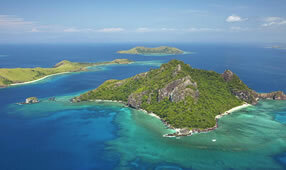 Enjoy a grand tour of Fiji’s main island “Viti Levu”. Stop for refreshments and stretch your legs at Pacific Harbour before circumnavigating the entire island seeing the different microclimates and landscape of Fiji. Includes transfers & refreshments with the option of a delicious lunch (extra). This unique and dramatic tour includes a round trip scenic flight of Viti Levu and a visit to the historic old capital of Fiji. 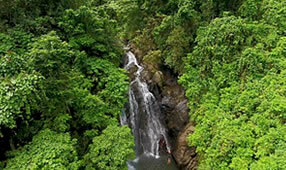 With this guided tour, we take you back in time and highlight Fiji’s colonial heritage and thriving early settlements. Includes transfers, refreshments, a guided tour of Levuka and delicious lunch.